Tre Trattoria guests may park at any of the denoted Museum parking lots, across the street. Entrance to Tre Trattoria can be found walking through the Museum, around through the Sculpture Garden or above River Stop #12, above the Museum Reach of the Riverwalk. For reservations of 12 or more, please contact Liza Hill by phone or via email liza@jasondady.com. We look forward to serving you! 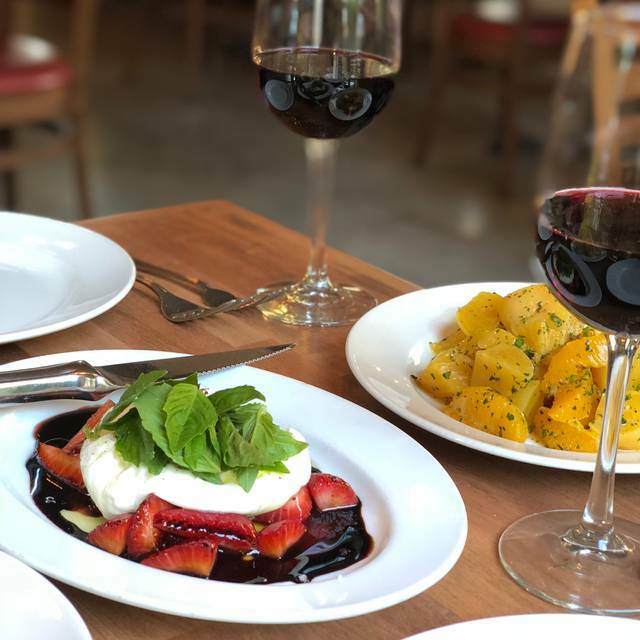 Inspired by the Tuscan Hillsides and the region’s family-style dining, Jason Dady’s Tre Trattoria brings the flavors of Italy to San Antonio. 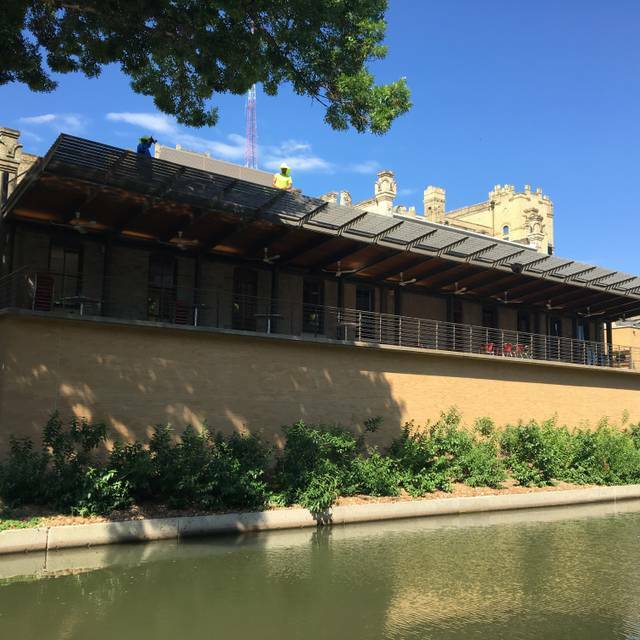 Featuring breathtaking views of the San Antonio River, Tre Trattoria’s patio offers shaded dining atop the Museum Reach of the Riverwalk. Inhabiting the Beretta Hops House, Tre Trattoria’s renovated interior space highlights the beauty of the historic building, featuring accents of wine vines and stag leaf ferns crawling across the rustic brick walls. 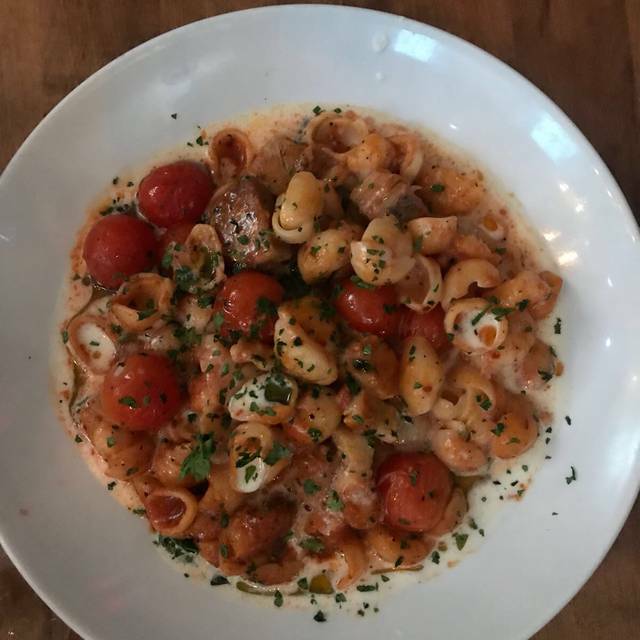 Menu offerings include a variety of fresh Antipasti, Cast-Iron Pizzas, House-Made Pasta (Gluten-Free upon request) and Chef’s Seasonal Selections. The food was great but many dishes were not available. We were told that steak and chicken were gone and other appetizers were also not available. The service was good but the waiter could have used help. Location is beautiful and we will definitely be back. So impressed with the quaint and well designed atmosphere along with the presentation and taste of each dish! Made for a wonderful Easter Brunch meal and was a wonderful setting and experience. We would definitely do this again! Thank you so much for a lovely Easter Brunch! 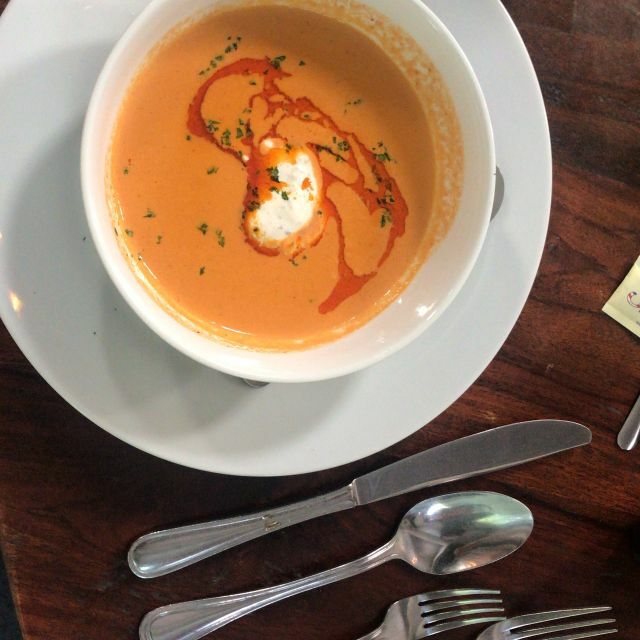 The food was delicious and the service was excellent! Additionally the patio seating was beautiful! 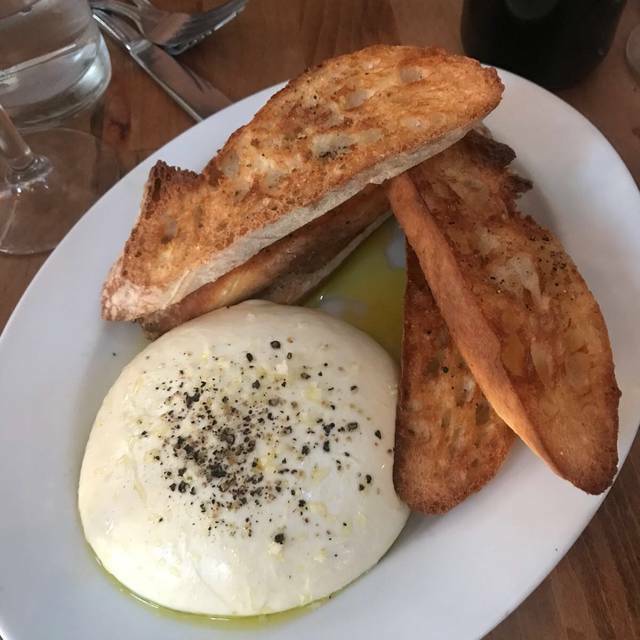 I usually have my annual Family Easter Brunch at Bigas, but you can count on me to request Tre Trattoria every Easter as well as other times through out the year! If you love fresh food and optimum flavor, this is the place to go. This is by far the best restaurant setting and experience in all of San Antonio. We were fortunate enough to be seated at a table on the patio on a beautiful evening, and it was magical. The flavors of the food were just as beautiful, and the service, impeccable. Definitely our new favorite spot! Food items came out at different times for all guests. Leaving some food cold while waiting on food for the rest of the party. No updates were given on the status of the late food. Overpriced and mediocre dishes. We had reservations, but front staff seemed confused about the reservation and mentally scattered when it came to getting us to the table. Was a bit rude. We were in a bit of a time crunch as we had theater tickets and there was a mix up with our table, so had to be seated outside which was a huge win! It did take a while for our drinks to come - appetizers had already arrived. The bartender was super busy. Aside from that, all was perfect. We’ve eaten at Tre many times in its past locations and the food is consistently food. My gnocchi was out of this world. I was delighted to know that the chef still makes the Gorgonzola sauce, even though it’s not on the menu. We liked it all so much that we rebooked for this weekend. The wait staff was a little disorganized @12:30. Even thought we had reservations. We went through 2 waiters before lunch was served. Looked like a staffing problem. That being said then food was great and the ambiance also great. We have been there several times and always enjoyed. Food and service were phenomenal. The restaurant setting is wonderful. We had a nice table on the terrace overlooking the Museum Reach of the the San Antonio Riverwalk. Very peaceful setting with great people watching sitting above the shady sidewalks below. The Lunch menu is fairly small - but executed perfectly. Service was friendly and efficient without hoverling. ( Thank you Heather!) Nice wine list. Prices very reasonable for the quality of the food. Would recommend highly. Tre is one of the best dining spaces in San Antonio behind the SAMA. Food and atmosphere is fab! Difficult to get to restaurant from parking area for those who are handicapped or have challenges walking. Had a wonder leisurely lunch with two friends. The food was fabulous, the ambience was exceptional, and the service impeccable. Bravo!!! The service was outstanding, everyone was very generous and kind. The food was excellent!!! Definitely going back. We sat outside on an absolutely beautiful day and enjoyed a delicious lunch and the river view. 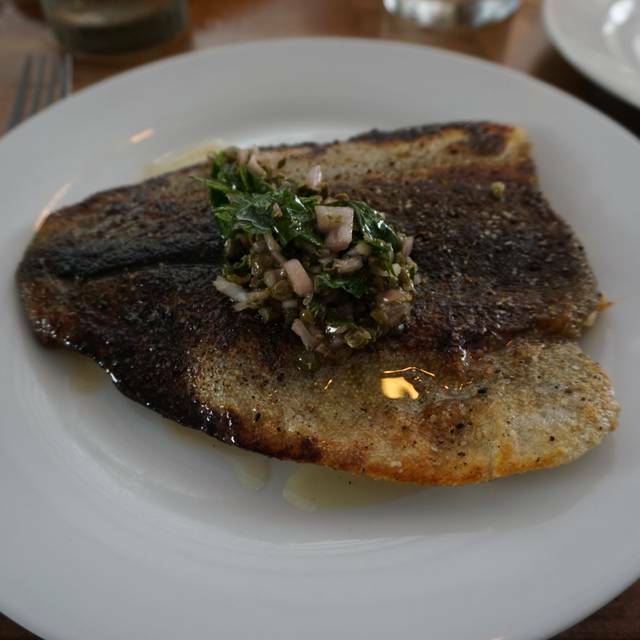 The crispy skin trout was to die for and the caesar salad yummy as was the butternut squash pasta. Food and service were fantastic. Server was present and helpful with our group of 9. Highly recommend sitting on the patio - one of the best in San Antonio! My group of 10 might have overwhelmed the restaurant, but we went early to catch a lecture at the museum. We were greeted with the perfect round table to accommodate us, and the waiter was friendly and efficient. I did forewarn them we needed separate checks, and they were able to do that. I love their beets but this visit, they were too salty. Outstanding food and service with outdoor seating right on the river! This is a perfect location! Would have given 5 stars the first time we went. Very disappointed in service the second time. We added shrimp to our dish for and up charge and it came with two tiny shrimp. We asked for wine with our meal and it didn’t come out until we were almost finished. Lastly, we bought dessert for another table (our friends we saw there) and the friends were never brought the dessert. Bummed to say the least. We ate on the terrace, and the location above the river was picturesque. Service was appropriately attentive, although there was no bartender on duty so mixed drinks were unavailable. 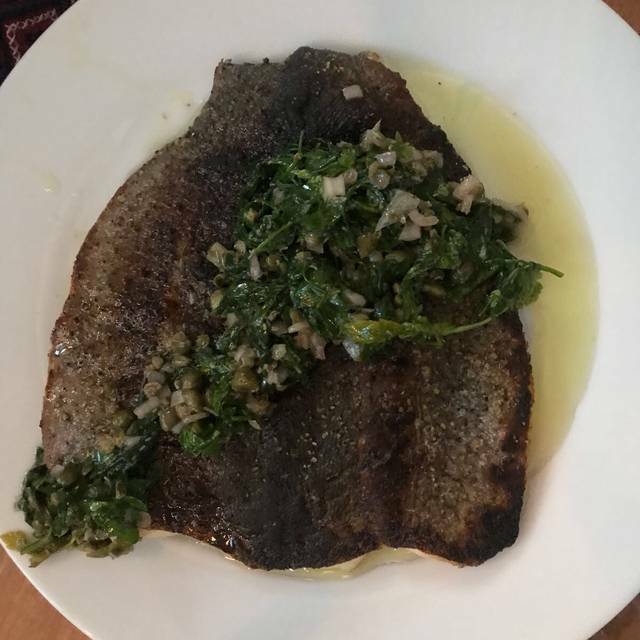 Some of the dishes ordered by our group had great flavor, but the trout was not the best. The presentation of the dishes was uniformly bland. The good is great and the patio view is wonderful. Love the space and setting. Just wish they would up their game on the same old menu. Bolognese tasted like Hamburger Helper! HandPulled Toast with Mozzarella was awful! Partners ordered Raditore and Spaghetti and we’re not impressed at all. Waitress was not attentive at all, checked on us every 10 mins. Chef Ashby and the Staff at Tre Trattoria are wonderful. The food is great, and the restaurant is in a beautiful location. 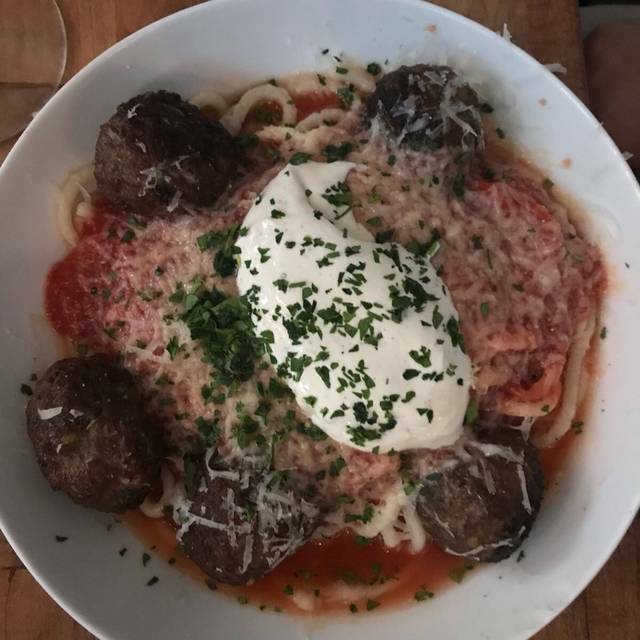 Thank you to Jason Dady for locating one of his restaurants at the SAMA. It was a chilly day so we had to eat inside. Looking forward to another visit to sit outside on the patio. Very disappointed. Made reservation in advance to ensure a table by the river outside. NOWHERE does the reservation have the option to select so we ask when we arrived. Host says you didn't request outside. I point out to him this fact, he says I know but you write it in special request. My response, where does it say that -- you just have to know. I said, how would I know if that is not listed anywhere. Needless to say, 5 tables open outside, even 2 when we left. Made what should have been a lovely experience very disappointing! 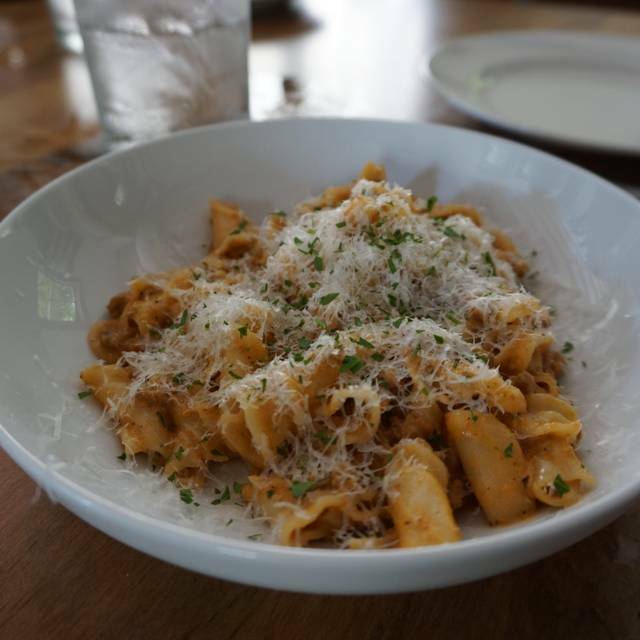 I have been anxious to try Tre Trattoria, particularly in its new space at the SA Museum of Art. Walking in, I was pleased at the ambiance of the restaurant, but somewhat concerned about the lack of a crowd at noon on a beautiful Sunday. Hoping for a brunch menu, I was informed that there is no brunch offering. I opted for a Caesar salad and the "Italian Sammy". Ok, the salad was mediocre, but it's a salad. Looking forward to that sammy! Oops, big mistake. Tough and cold (straight out of the refrigerator cold) absolutely flavorless bread. My dining companion had a pizza that was overdone. What a sad excuse for a pizza. This is an Italian restaurant, correct? Ok, so sometimes (not often) good service can compensate for mediocre food. Not this time. Our waitress approached her job today as if she was still nursing her cocktail from last night's party. No personality, no enthusiasm, no engagement with her guests. All in all, she seemed perfect for a less than perfect outing. TJ our server Saturday night made my daughter 24th birthday dinner very special. He was very attentive and the surprise dessert he brought over was awesome. I will definitely go back again. Love the location and view especially off the veranda! The food was excellent and service excellent! From the moment we arrived we were well taken care of. Our server Anastasia was excellent. Our pre dinner drinks outstanding. The Deviled eggs superb, the entree’s magnificent, and a fantastic dessert completed a wonderful dining experience! Highly recommend Tre and will be back! Our server TJ was the best part of our experience, described every dish perfectly and was just the best energy to be around. Definitely will be back because of him. The food is always very good. We dined on the patio, it is along the river walk, very nice. The chef even prepared an off the menu vegan butternut squash pasta dish for me!!! Excellent! We were happy to get in without a wait on a Friday. But we were seated outside, which has a lovely view of the riverwalk. My cocktail, the antico, was good. My fiancé said his old fashioned tasted watered down, our server was pleasant but didn’t make good recommendations. I asked about a dish and he told me it wasn’t for everyone and suggested another. Which I ordered but didn’t care for it, so maybe the other was for me! We ordered a bottle of wine and was told that they never order it so didn’t have a bottle so he recommended another wine, which was terrible. Fiancé had the gnocchi, it was decent. For the price, this Tre location was not worth it and we will not be coming back. Food was experimental Italian... some dishes landed better than others. Overall we enjoyed the meal due to the service but didn’t like our mains very much. The Gouda pasta was abysmal - that is way too strong of a cheese to allow any other flavors to come through. The Bolognese was just okay... Won’t be back but the view and service were excellent.